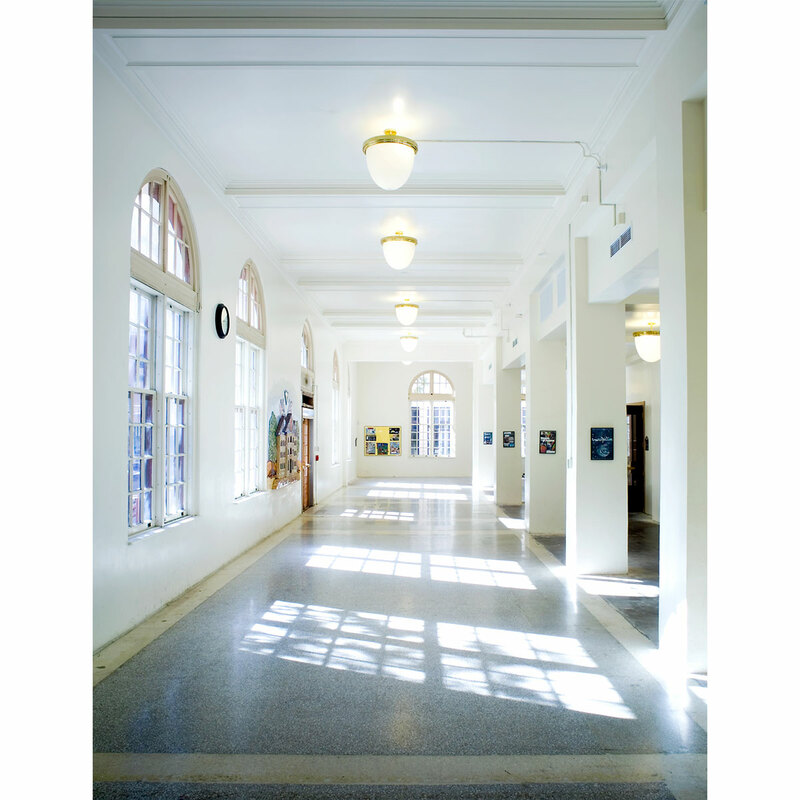 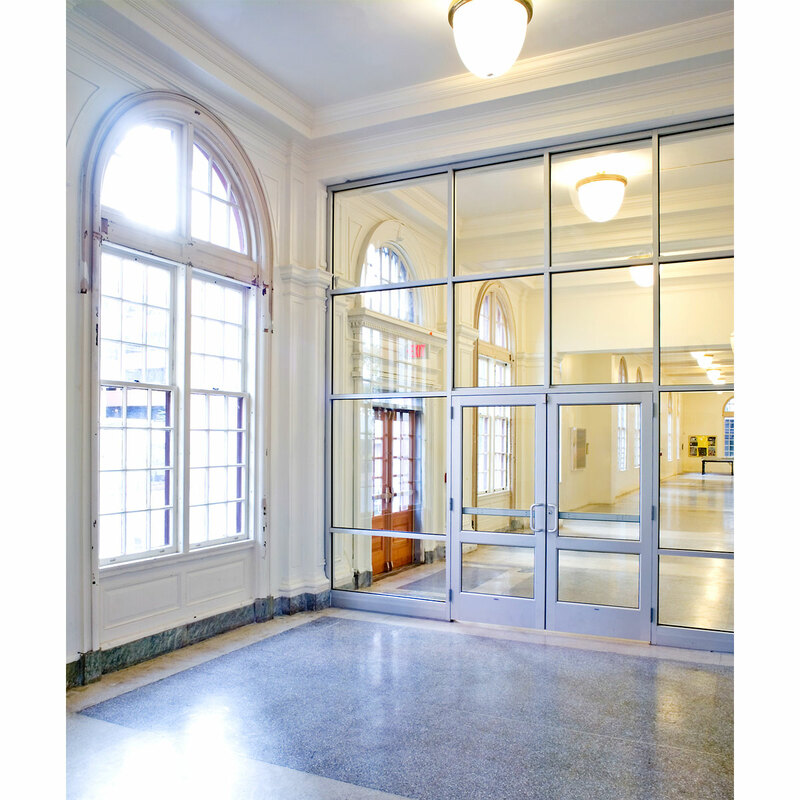 Amy Biehl High School was an adaptive reuse of an historic 1908 downtown Albuquerque federal building and Post Office, made possible through a unique agreement between the school and the U.S. General Services Administration. 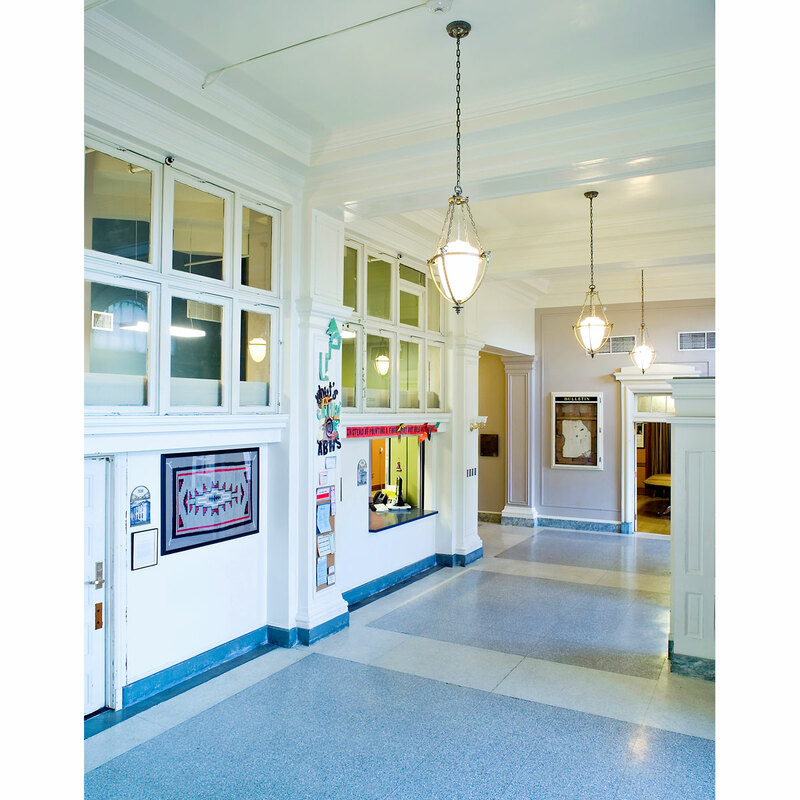 Wall partitions added in the 1970’s were removed to restore public lobbies, the octagon shaped courtroom, and the post office workroom. 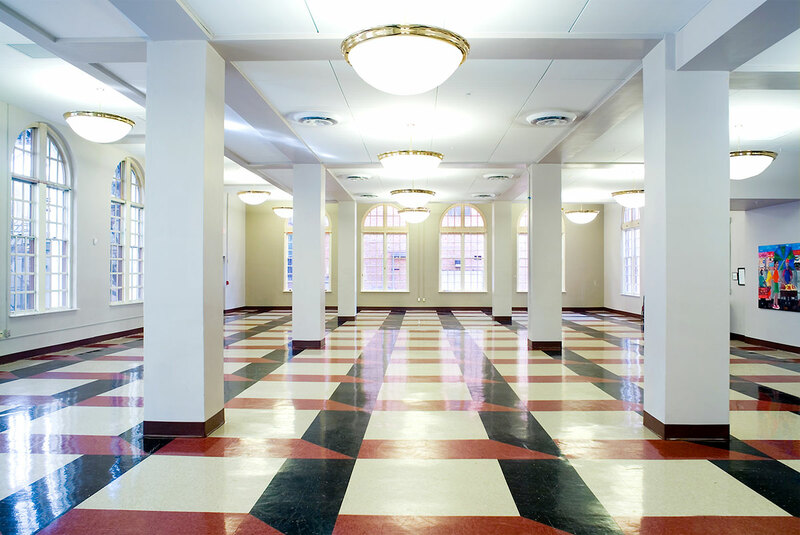 Transforming the 50,000 square foot building into a school designed to accommodate 200 students required ongoing coordination with local, State, and Federal officials, as well as seismic enhancements and accessibility improvements. 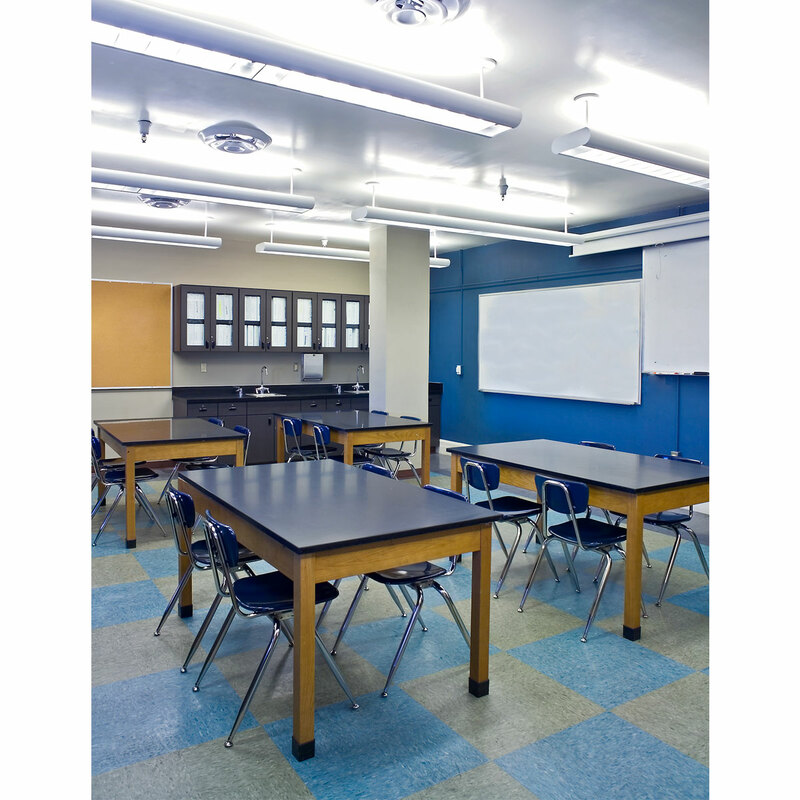 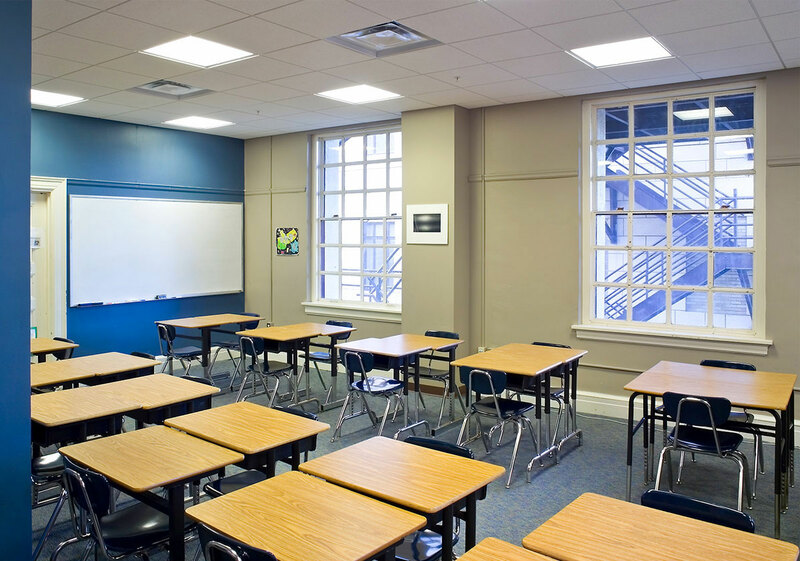 On an extremely limited budget, we creatively adapted existing spaces to be transformed into useful, state of the art educational classrooms for a cost of about 13% of new construction costs per student. 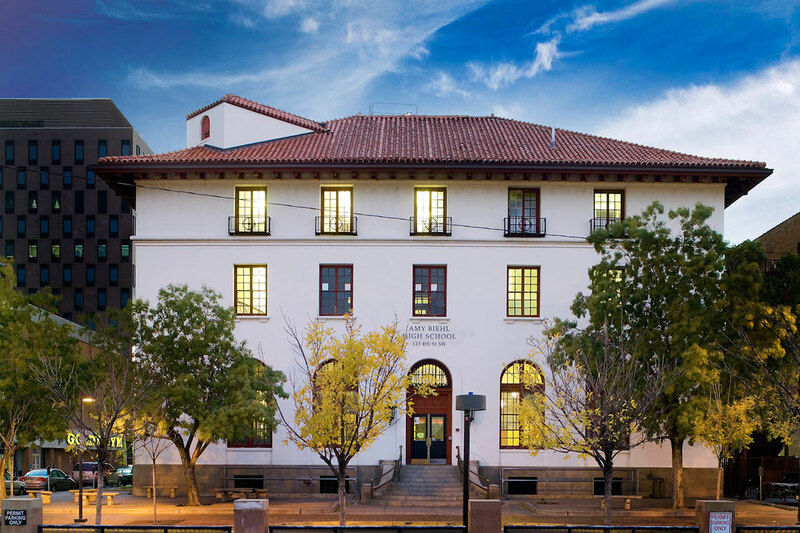 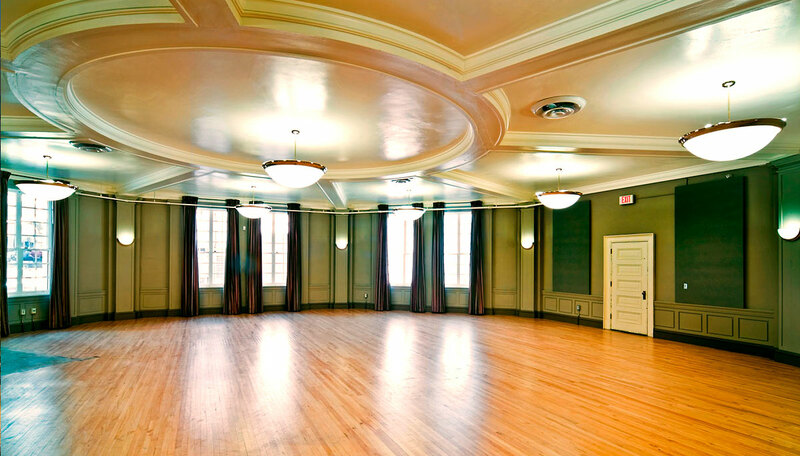 The project has won numerous design and preservation awards including The National Trust for Preservation’s National Preservation Award and the State of New Mexico Heritage Preservation Award.